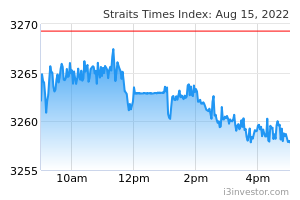 We believe the expected recovery in DPU and delivery of positive rental reversions on the back of higher spot rents would be catalysts to close the discount to Keppel REIT’s book value of S$1.40. For 2018, Keppel REIT disclosed that it had achieved signing rents in Singapore of S$11.10 psf/mth higher than S$10.88 psf/mth, S$10.74 psf/mth and S$10.05 psf/mth for 9M18, 1H18 and 1Q18 respectively. Based on the portfolio lease expiry as at end 3Q18 which showed 6.7% of leases were subject to rent reviews (mainly related to the DBS lease at MBFC Tower 3) and minimal leases up for renewal (0.3% of leases), we estimate Keppel REIT was able to negotiate for DBS to pay rents between S$10-12 psf/mth, up from high single digits previously. Borrowing costs remains steady q-o-q at 2.8% although higher than the 2.6% reported at end 4Q17. To better manage its balance sheet risk, Keppel REIT disclosed that around 5% of its debt is in AUD and it intends to increase this proportion over time to better match the fact that 15% of its assets are located in Australia. While borrowing costs in AUD is more expensive, this is expected to be mitigated by tighter credit margins. 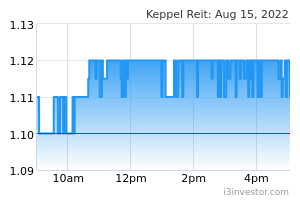 In FY18, Keppel REIT bought back S$32m worth of shares at between S$1.12 and S$1.19 at an average price of S$1.16 per share. With Keppel REIT leveraged to the upturn in the Singapore office market and trading at 15% discount to its latest book value with downside protection to Keppel REIT’s share price afforded by the potential resumption of Keppel REIT’s share buyback, we reiterate our BUY call with a revised target price of S$1.31.